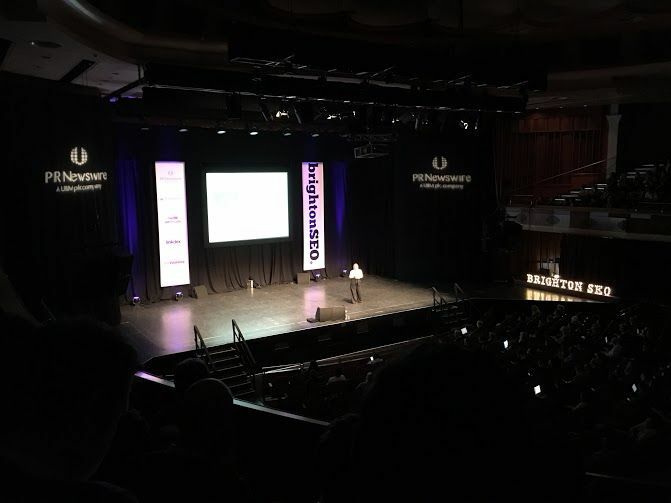 Last Friday, 22nd April, the Internet República team went to Brighton to attend one of the most important events in search engines marketing in the world: BrightonSEO 2016. If you could not attend or you were not in time to take notes about speeches you did not want to miss, this article summarizes the most important events on the agenda with links to their respective presentations. This will help you keep up to date with the latest trends in SEO without leaving the comfort of your desktop. Nichola talked about the way we use technology and how we are evolving towards generation Z. His research focuses on improving the user experience of this increasingly influential group for the benefit of SEO. According to Stott, generation Z is made of a public with an attention span of only 8 seconds, so content creators have to focus on offering information a lot quicker. Mel Carson talked us about the importance of having a personal brand and the need to make it part of the professional profile to generate empathy. 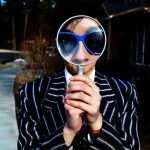 He gives us advice on how to invest in a professional picture, name the images correctly according to our identity and profession, keeping the LinkedIn profile up to date, and more. Rob used his speech to show the conclusions of his research after analysing the snippets of 1,000,000 results. One of the most important revelations was that Google extracts seldom content of its featured fragments from the first position of the search results. The first speech in the morning was quite profound. The slides showed a lot of information about how crawlers surf the web and how their quick increase in size is causing them to be more selective. Oliver Mason focused his speech on the access registries or logs, tools that can be used in the commands console and how to use them when we have to deal with a reasonable amount of registries for Excel. In his presentation, Barry Adams shows us how to find and solve optimization issues with the crawling of a website to improve its SEO performance. Samantha Noble includes in her slides strategies to make use of the potential of the audience in the pay per click, as well as different techniques to adapt them to the client, make lists and sponsored promotions by Gmail. Marcus Tober presented how the traditional ranking factors are not always taken into account, and change as the intelligence of machines evolves. We could also see different factors that can have more or less relevance depending on the sector where we are and how searches from mobile devices can influence the ranking. We know that some links are worth more than others. However, since Google officially made its presence public on the algorithm, they are more important than ever. Therefore, Christoph Cemper gives a series of recommendations throughout his presentation. Is the load speed of your site important? Since Google included this factor in the algorithm, all the webs are competing to be the fastest, because Google does not measure the speed with a specific point of reference, but it continually compares all the competitors. Tom Bennet gives some WPO advice to improve the speed of our site. Catherine Warrilow started her speech with an example of Lego to show what you must not do to solve a public relations (PR) issue. With this and other cases, Catherine showed us what we must and must not do when facing a PR crisis. Rhys talked in his conference about the importance of segmenting data in Google Analytics and other techniques to analyse our target, e.g. upload clients’ email addresses to Facebook to find out more information. Arianne tells us how to get Google Analytics Premium and why we should choose it. She also exposed its disadvantages and what are the differences with Google Analytics. 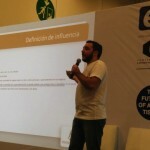 Juan González, from Sixtrix, displayed 10 examples of how bad decisions can affect visibility and the upward trend. James’s presentation aimed to show the correct pattern to be successful in a technical SEO strategy. Looking through his slides we can see how to make and exhaustive research of keywords, onsite optimization, content structure, keywords assignation, creation of functional content, etc. Yiğit Konur shows us how user experience does really have an influence on Google’s metrics. Aferdita Pacrami focuses her speech on the different techniques used in videogames to improve user experience and conversion, and how these can teach us improve our SEO projects. A quick introduction to AMP. What it is, when shall we use it and how difficult it is to implement. Throughout her presentation, Sonia Mazzotta talked about the importance of being on Google News, the benefits it brings for SEO and how we can integrate them in our content strategy. Rachel presented some advantages of video and their relative importance in search results. 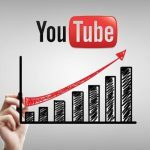 She also gave some SEO advice to position videos better and increase the amount of views. Andrew focused his speech on logs server analysis and talked about the new tool by Screaming Frog to analyse this kind of data. Raj shows throughout his presentation how mobile devices and local searches have changed the way consumers interact with the world. The speech also gives us some keys to prevent losing positions in local results. Erica McGillivray talked about communities as a resource and how to manage them properly to solve conflicts, maintain the brand’s visibility and contribute to cohesion. 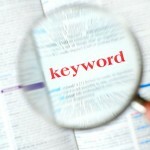 Jon Earnshaw showed us how to face different problems that can come up in a SEO strategy, e.g. duplicate content. For this, he used the example of Waterstones, one of its big clients. Lisa Myers and James Finlayson show us different cases where big results have been achieved with the help of emotional links to the target. Greg Gifford talked about local SEO giving some important advice to improve the marketing strategies of companies in a market of local customers. Alexandra shared different techniques to reactivate the forsaken Twitter accounts that many clients have. The path to globalization implies that any brand willing to internationalise has to establish locally in many different countries. Therefore, Olga Andrienko explains us how to locate a brand on different markets. In his presentation, Colin Woon shows us how some technologies from the side of the client, like AJAX, can help us optimize for search engines if used properly. Emily Mace gave a practical lesson on how to correctly implement the tag hreflang for different languages and countries, both by implementation of their own webpage and using the sitemap. She showed common mistakes to avoid. Jan-Willem introduces us to the concept of machine learning and how this can be used to optimize our SEO procedures. Laura Hampton’s presentation displayed different recommendations that sellers can use to define their digital strategies like building characters that the customers can empathize with, which will make it easier for them to reach the target. In his speech, Mike Essex focuses on how employees can make a good marketing job channelling the energy of internal communication. Louise Li showed us how direct responses from Google can increase organic traffic and CTR hugely if the search engine decides that your website is the best answer to appear in that valuable first position. To do this, she also gave some recommendations throughout the presentation. Gerald Murphy talked about semantic searches, Google Now, the impact of voice search on keywords and the future of searches with hummingbird and artificial intelligence. Rob shared with us the way he uses the API by Google Search Console together with PHP to extract all the keywords and combine them with the results from Analytics to find the famous ‘KW not provided’. During her presentation, Collette Easton tells us about the secrets of in-house SEO teams: organization, communication, supervision and all the factors that make this collaborative project work. This compilation includes the presentations that are available as now. In the future we will expand the list as the presentations are shared. If you have a URL that we have not included on the list, we would be very grateful if you shared with us.